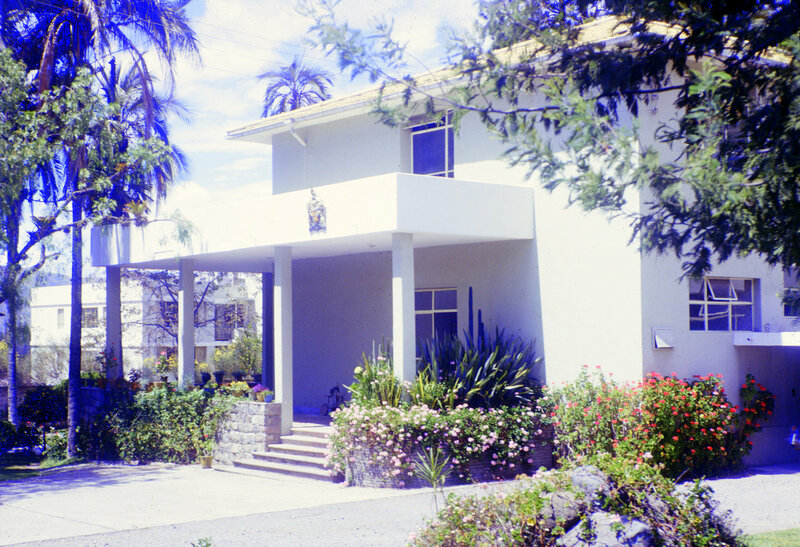 From 1965, the residence was leased at Calle Mercadillo 675 with 0.4 hectare of garden. The property was bought in 1967 for £30k. Pressure to move in the 1980s resulted in the purchase in 1988, for about £90,000, of a 0.75 hectare development site at El Bosque for a new residence. That came to nothing, and the site was subsequently sold. A good replacement residence was eventually bought and refurbished in Guapulo in 1993 for £410,000. 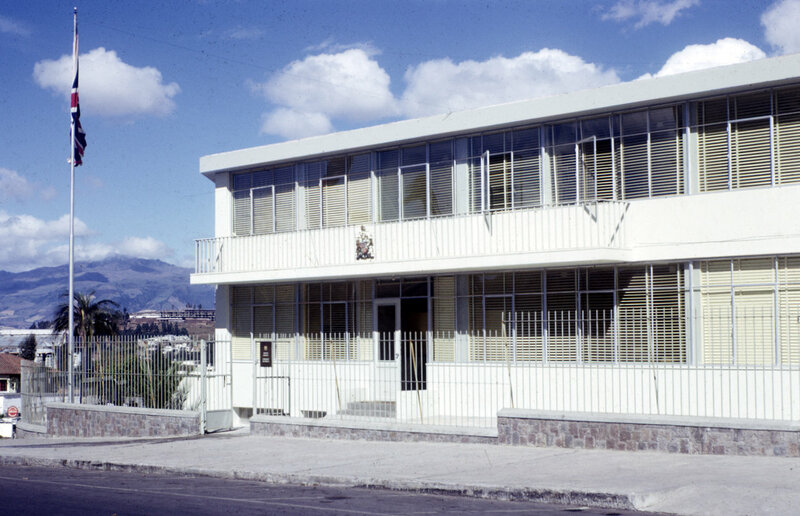 Offices were leased from at least 1961 at Calle Gonzalez Suares 111 and also, from somewhat later, at 197 less than 100 metres away on the same street. This inconvenient arrangement lasted well into the 1990s, despite the purchase in 1988, and subsequent sale, of a site on which to build new offices at Avenida Diego de Almagro for £113,000. 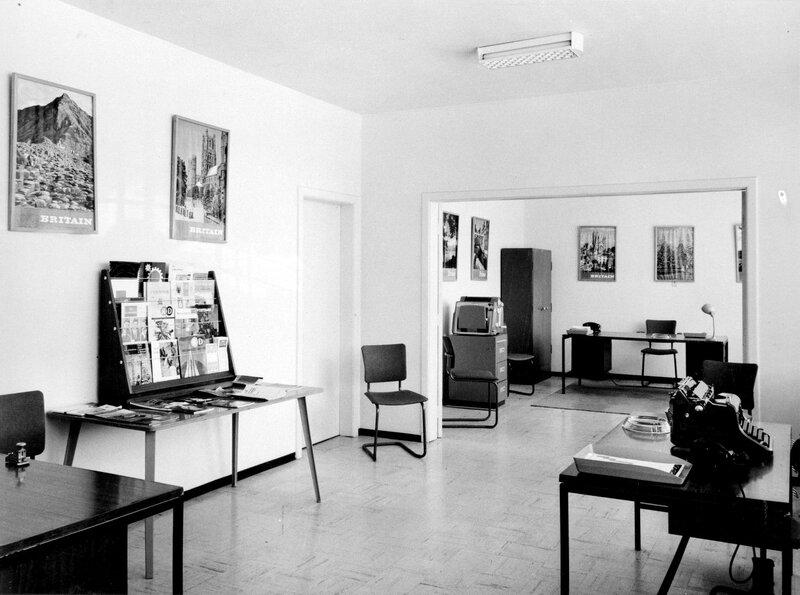 Information section general office on ground floor, 1963.